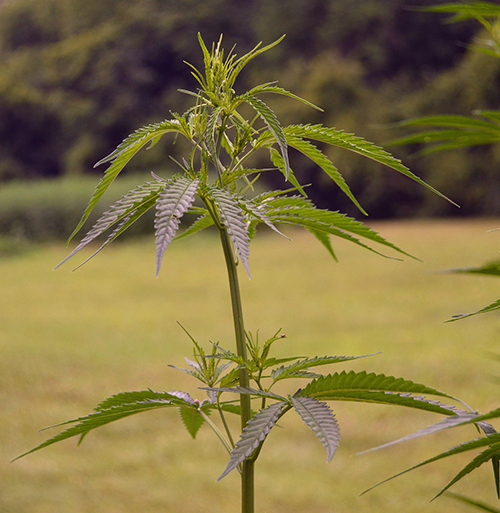 It’s pretty easy to tell if a plant is healthy: lush leaves, rich harvests, and rapid growth. But what about your soil? How do you measure the health of a soil? You may think of yourself solely as a cannabis grower; cannabis is what you see, what you harvest, and for many of us in the industry, cannabis is our livelihood. What you don’t see, is the gigantic microbial crop living just below the surface–the rich farm of bacteria that you are cultivating within the soil. In this post we will explore the microbial life in your soil, specifically, the bacteria at the root-soil interface. We will look at what supplies they need to function optimally, and what you can do to help support this growing army. Over the past decade there has been a lot of hype around “good” bacteria in the health food industry (think Activia yogurt and Kombucha). Though this may be changing the stigma around bacteria, it also limits the conception of good bacteria to being solely probiotics for human gut benefit. 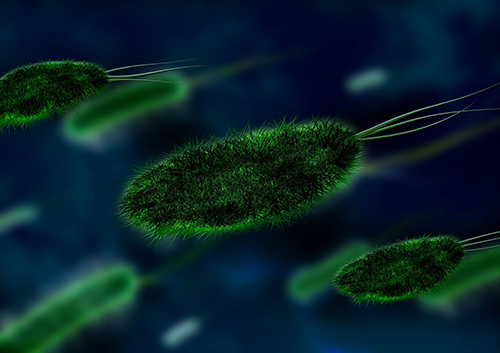 For many of us, it is hard to grasp just how integral bacteria are to our survival. It is said that you are born 100% human, and that by the time you die, your body has 10 times more microbial cells than human cells. 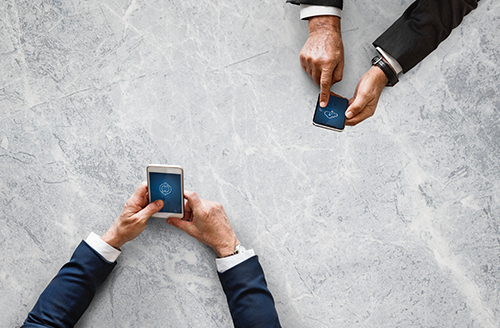 At the end of the day, we are more host than human, and though this sits a bit close to alien abduction for my liking, it is not the reason for this blog post. Microbes are everywhere, and you would be hard-pressed to get rid of them in your soil (not that you would ever want to). But like all growers, they need the right tools and amendments to properly do their job. You may now think of yourself as the gardener general, with an army of microscopic growers waiting to be equipped to work. The Rhizosphere is a term that describes “the zone of influence around plant roots”, first used by Lorenz Hiltner in 1904. This was the first time in history that the microbial life surrounding plant roots was credited for plant growth and health. The symbiotic relationship between plant and microbes highlighted the importance and grandiosity of the soil ecosystem, giving root to the gigantic field of soil microbiology. 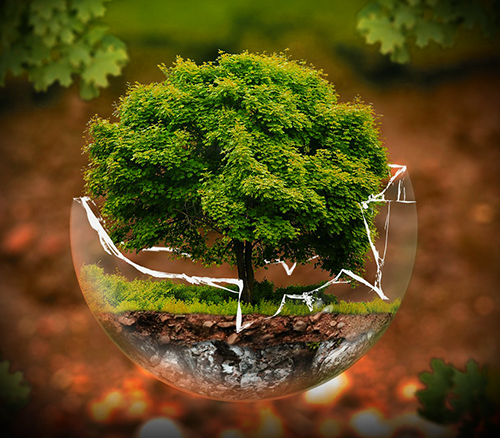 The Rhizosphere can be thought of as a spherical system surrounding the plant roots and the soil around them, encompassing all the elements and species within that area. Here we see oxygen, nitrogen, carbon dioxide, water, bacteria, protozoa, mycorrhizae, earthworms, etc., all interacting to form one ecosystem. Like the numerous parts of a complex machine, every element in this system is essential to the healthy functioning of the whole. In The Significance of Soil: Part I, we saw that there are more living organisms in a handful of soil than there are people on earth. The rhizosphere has over 1000 times this number, making it one of today’s greatest scientific frontiers. By understanding the role that root systems and microbial life play in the growth of plants, we begin to understand the role of soil amendments and nutrient additives in increasing plant health and yield potentials. The microbiology of the rhizosphere is complex, but there are some basics that every grower should know. In grade school we learn that plants need sunlight, carbon dioxide, and water to grow, and in return, release the oxygen that helps us sustain life on earth. This is old news, and for many of us, this photosynthesis equation is nothing more than a trigger for unpleasant high-school flashbacks. What many people don’t know, is that plants also need oxygen to grow. The stems and leaves are able to produce enough oxygen of their own through photosynthesis, but the roots within the soil simply don’t receive enough light. For this reason, the plant below-ground must rely on the air trapped between the soil particles for its oxygen supply. This is why so many people kill houseplants by over-watering, where too much water fills the pore spaces and essentially drowns the plant. This is also the reason that soil must have a specific structure in order to support growing plants and their root systems. Microorganisms in the rhizosphere aid in this soil structure. Certain microbes increase root surface area (specifically mycorrhizae), while others, through metabolic secretions, cause aggregation of the soil which in turn helps increase pore space. In addition to the right structure, roots require the soil pH to be kept at an appropriate level. The right soil pH provides protection from toxic substances and disease, aids in water retention, and provides a suitable habitat for microorganisms living near the roots. Soil pH also determines how nutrient substances are broken down, how they are transported and absorbed, and their quality within the soil. This breakdown of nutrients is mostly credited to microbial activity within the soil. With the right pH, soil microbes are able to take larger compounds and break them down for energy, releasing more available forms of the nutrients for the plant roots to take up. The pH of the soil greatly affects microbial growth and metabolism, and vice versa, as ions are released in the soil through microbial metabolic processes. The result is a complex system of constant pH fluctuations, that in most cases, averages out to a relatively stable, happy soil ecosystem. The interactions between microbes and roots in the rhizosphere help the roots obtain their essential nutrients. We have already discussed the three essential elements (oxygen, carbon, and hydrogen) that plants can derive from water, air, and photosynthesis. There are at least 13 other essential elements that are required for plant growth and reproduction, and all of these elements are obtained from the soil by the root system in varying amounts. The three major macronutrients (nitrogen, phosphorus, and potassium) are required in the largest amounts, making up the bulk of fertilizer programs. Nitrogen, phosphorus, and potassium are the three major macronutrients, and make up the bulk of most fertilizer programs. Secondary nutrients (calcium, magnesium, and sulphur) are needed in lesser amounts, and the remaining eight micronutrients (boron, chlorine, copper, iron, manganese, molybdenum and zinc), though still essential, are required in even lesser amounts. Plants require these essential nutrients to grow, but there are many more elements found in plant tissue at any given time. These elements may be taken up by chance or accident, and can even include toxic heavy metals, such as lead and cadmium. 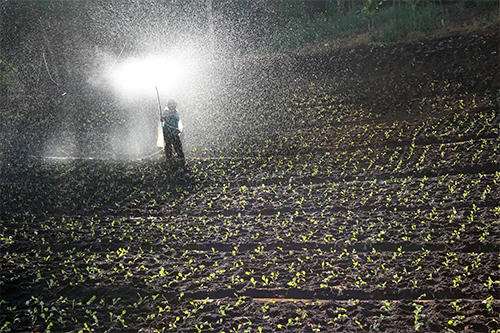 Plant growth can be limited by lacking essential nutrients, or by the presence of toxic elements. In Soil Remediation with Cannabis, we discussed the amazing phytoremediation ability of the cannabis plant to filter toxins from the environment. Cannabis is a hardy plant with the ability to take up toxins from the soil, but it is the interactions between the roots and the microorganisms that prevent these toxins from harming the plant tissues. Preventing toxins from harming plant tissues is just one of the many methods of defence that microbes provide plant roots. Microbes are sadly not all beneficial, and there are many pathogenic microorganisms that seek out the sugary, organic molecules provided by the plant roots and tissues. The good news is, the beneficial microbes in the rhizosphere provide both a first-line and second-line defence against attack. Microbes encounter the pathogens before the roots, at the soil-root interface, and sometimes even within the plant roots themselves, by already being present in those areas. Microbes protect the plant roots by repelling pathogenic microbes through chemical secretions, or by simply outcompeting them, taking up the space and nutrients that the plant roots provide. Though it may be hard to selectively target pathogenic bacteria in the soil, we are able to cultivate the beneficial bacteria. Bacteria cultivation is not complicated; it involves inoculating the soil with good bacteria, and giving those good bacteria the nutrition they need. The relationship between beneficial bacteria and the plant roots in the rhizosphere, in a healthy ecosystem, is mutually symbiotic. This is a term frequently used in biology, to describe a relationship where both parties benefit equally (#relationshipgoals). The plants roots benefit from the right soil structure, nutrient supply, soil pH, and defence from attack, while the microbes take what they need in return. Plant roots release substances into the soil, which are called exudates. These substances (sugars, amino acids, and organic acids) are used by the microbes as their primary source of nutrition. Both beneficial and pathogenic microbes are attracted to these substances, resulting in the need for a constant defence by the beneficial bacteria. The exudates themselves also provide resistance to pests through the release of certain chemicals, thereby controlling what types of microorganisms live in the soil. Researchers have recently discovered that these chemicals are also used as a form of communication, allowing the plant and microbes to “talk” to one another. A relationship is nothing without communication, and through exudates, plants and microbes are able to live harmoniously together. Well…not always, and not so simply. As previously mentioned, the rhizosphere is extremely complicated, and not yet completely understood. There are constant successions of microbial communities in an environment that is constantly changing. If the microbes are missing the nutrients that the plants need to be broken down, they will no longer be able to provide for the plants (and vice versa). This results in a cascade of issues that could lead to the replacement of a good microbial community with a bad, which could end up being detrimental to the plant. In the cannabis industry, we are seeing synthetic fertilizers being overused, with the mentality the more nutrients equal higher yields. This is not the case, as nutrient build-up leads to an increase in salt, which kills the essential life within the soil (and can burn the plant itself). 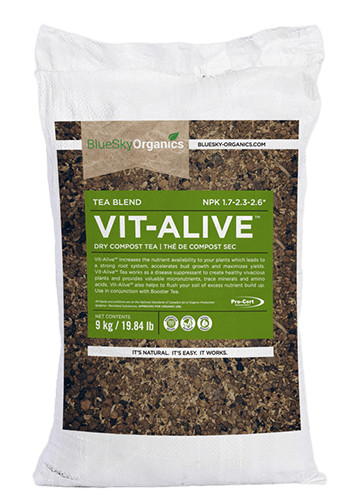 Compost teas are used to naturally enhance beneficial microbes through selective nutrition, while still protecting the plants and rhizosphere. These teas are gaining popularity, and through scientific studies, are now being considered a safer alternative to synthetic chemicals. Compost teas are like a superfood to microorganisms, providing the vitamins, minerals, and nutrients that the microbes need to thrive. These teas help to replenish the biodiversity within the soil, moving it to a more harmonious ecosystem. As we saw previously in Soil Loss and Keeping Cannabis Green, the rise in modern agriculture is one of the biggest threats to soil loss. This loss does not exclude microbial biodiversity. As we lose soil we are also losing the life within it, which is vital to supporting our plants. Microbes within the soil need to be respected when choosing farming methods and amendments. Conservation tillage is the preparation of soil for planting, with the intention of reducing soil disturbance. Tilling has been linked to loss of microbial life in soil, and so by keeping the soil in-tact, we allow the biodiversity and life within the soil to thrive. The microbes within our soil are growing armies, ready to be equipped to work with us in producing healthy, thriving plants. 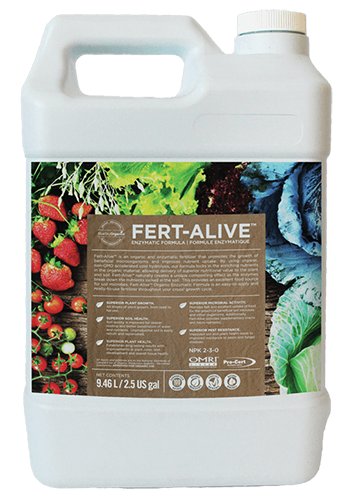 We better arm these micro-soldiers with the nutrients they need, through the application of organic fertilizer, Fert-Alive™, and compost tea, a blend of Vit-Alive™ and Organic Booster™. We also give our plants the best start possible by growing them in Simply Earth™ Super Soil, a growing media packed with the right soil structure, pH, and nutrients, and the right defence. 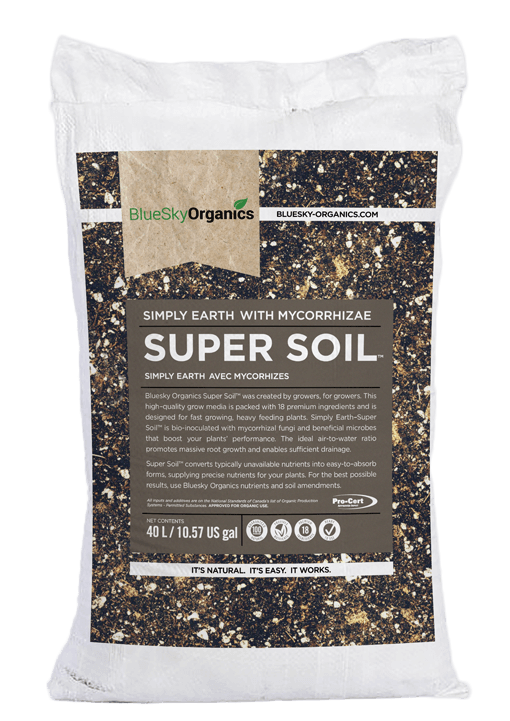 Our Super Soil is bio-inoculated with mycorrhizal fungi and beneficial bacteria, giving our little growers a head start in colonizing the root system and soil. 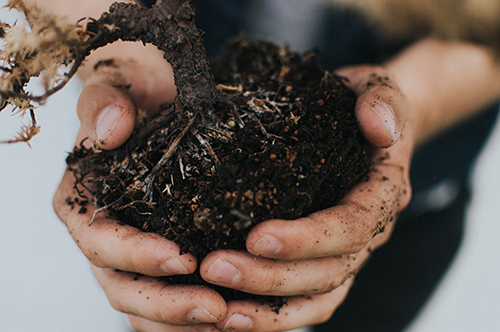 At BlueSky Organics, we believe in growing from the ground up. We are committed to organic growing practices that not only yield top-grade cannabis, but also respect the soil and the life within it. Chotte JL. (2005).Importance of Microorganisms for Soil Aggregation; Microorganisms in Soils: Roles in Genesis and Functions. Soil Biology, vol 3. Harsh P. Bais, Tiffany L. Weir, Laura G. Perry, Simon Gilroy, Jorge M. Vivanco (2006). The Role of root edudates in rhizosphere interactions with plants and other organisms Annual Review of Plant Biology 57:1, 233-266.